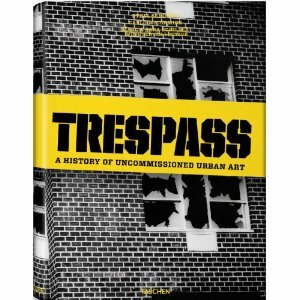 The Trespass books are currently making their way via freight-ship from China to distribution centers literally around the world. Coming back to Los Angeles after traveling, it’s wonderful to hear that booksellers’ responses have been so positive, and Trespass will finally be in stores in September. I do hope the title blows minds with its unusual associations and that it brings generations together. For those who are waiting to buy a copy, it’s a good idea to pre-order online as the price is incredible, and there’s a very good chance the first edition will sell out quickly. The official U.S. release is scheduled in New York City on September 29th, and others will follow from there. Let us know if you have specific interests so we can keep you updated on events. The book is coming out in different languages depending on where you are — English, German, French, Spanish, Portuguese and Italian. Traveling reminded me of that, how great Taschen’s reach is as not everyone speaks English, and perhaps the world isn’t as global as we think if cultures are defined by the information they have. In any case, it was great to be in the Copenhagen train station, Denmark, and think of Adams & Itso’s having lived underground there. That’s one of the works featured in Trespass. With good summer vibes, I’m excited to see Carlo, the book’s writer, in LA next week.